Famous for its artistic heritage, St Ives is a vibrant hub of galleries, shops and museums. Visitors can explore the cobbled streets and find hidden gems including Tate St Ives and the Barbara Hepworth Museum and Sculpture Garden. Considered one of Cornwall’s top destinations, St Ives offers four fabulous beaches for visitors to enjoy. Whether it is relaxing and soaking in the summer sun or walking hand in hand across the coastal path from Porthminster beach to Carbis Bay, there is something to do for everyone. Guests can eat alfresco with plenty of pavement cafes, ancient pubs and top-­‐ notch eateries with mouth-­‐watering menus. 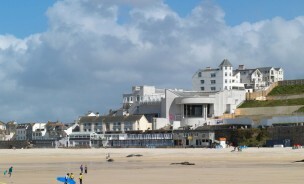 Tate St Ives exhibits work by modern British artists in its unique three-­‐storey building overlooking Porthmeor Beach. In 1993 it became the second regional gallery in the Tate Gallery network that features other galleries in London and Liverpool. Admission into the iconic gallery includes guided tours, access to online books in the Studio Resource Room, family trails and other activities. 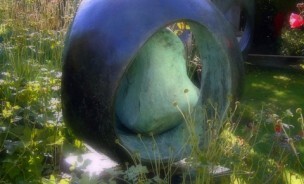 The Tate also manages the Barbara Hepworth Museum. Etch this into your day. The Barabara Hepworth Museum and Sculpture Garden is another unique experience and a great way of carving some more culture into your visit to St Ives. Hepworth is regarded as one of Britain’s most important artists of the 20th century and a visit to the home she lived and died in offers a fascinating insight to her work and life. Let’s face it, a trip to Cornwall isn’t really a proper trip to Cornwall until you’ve felt the sand between your toes and then dipped said toes into the sea. St Ives is home to award-­‐winning, clean beaches at Porthminster, St Ives and Porthmeor. Each beach has its own unique appeal. Porthmeor was awarded a Blue Flag and boasts spectacular sunsets and has great facilities right on the beach meaning it’s perfect for families. Head to the harbour beach to immerse yourself into the Cornish lifestyle, where fisherman stop with their catches of the day and boat trips regularly depart. 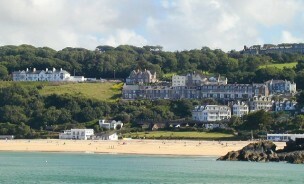 Porthminster is a more sheltered beach with a fantastic restaurant and café and facilities for the family. 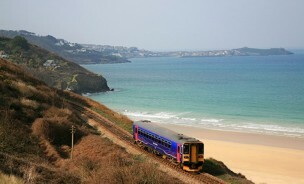 This picturesque train line from Penzance to St Ives is considered one of the most scenic branch lines in Britain and is a magical way to arrive in St Ives for the day. Join the branch line from the main line station of St Erth, or use the park and ride facilities at Lelant Saltings. A car park is provided for more than 200 cars and is next to the branch line linking Carbis Bay and Porthminster, St Ives.